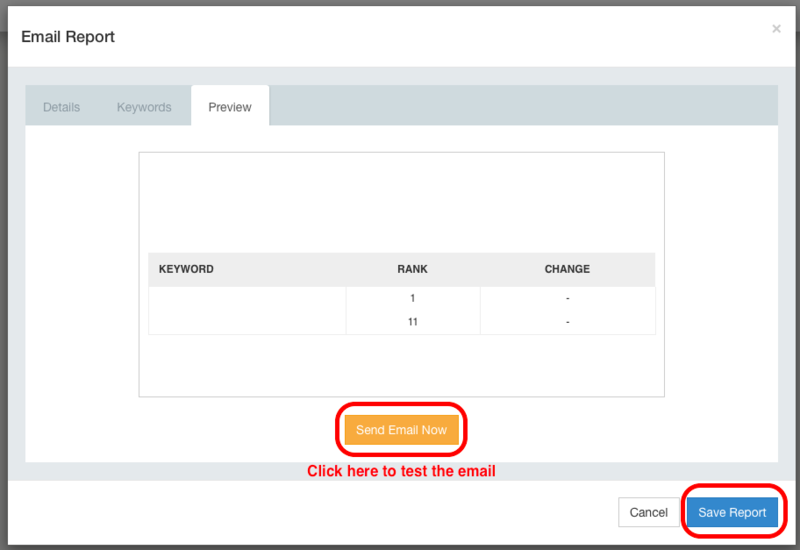 Q: How to setup email reports? A: The frequency of the email reports is all up to you. You can have them sent daily, weekly or even monthly; adding whatever email address you'd like to use. A: We have a great video which tells you how to use this feature. Email Reports video guide! The quick answer is that we know you might want to see your daily numbers without having to login, or that you may need to send reports to your clients. 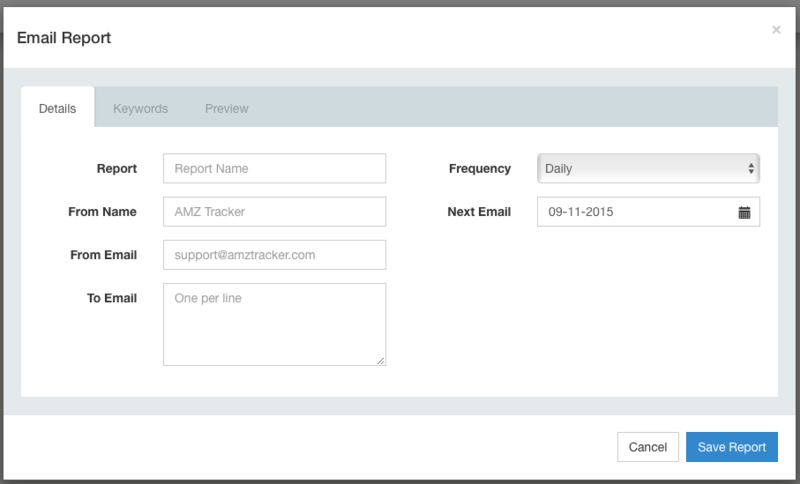 You can set up white label email reports in your AMZ Tracker dashboard in a few simple steps. Click on 'Email Reports' from the left menu. Report Name = Whatever you'd like. Click on the 'Keywords' tab. Select the keywords you want to see by checking the 'checkbox'. Click on the 'Preview' tab. Check that the report looks how you'd like. If not, go back and change it.